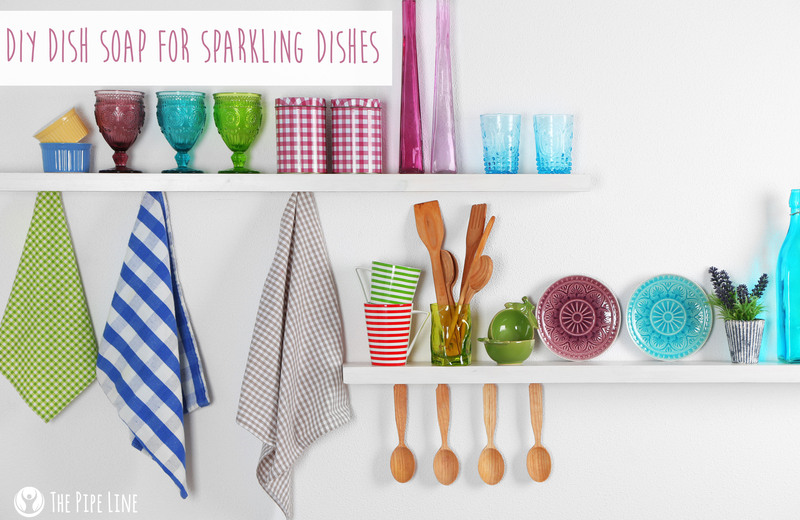 DIY Dish Soap For Sparkling Dishes! This week we obviously have an affinity for all things domestic. So, we figured it only made sense to provide a recipe on the one thing that we use daily: dish soap! When you walk into a store, like Target for instance, it can be pretty easy to be overwhelmed by the number of options at hand. The labels shout out at you “Quick-Acting!”; “Squeaky Clean!”; “Spa Scented!”, et cetera. It is basically a never-ending show and tell. Sure, it is a blast figuring out if you should go with that $10 Lavender-Mint scented soap or the economy sized, standard scent one, but you know what’s even more fun? Not having to decide at all! Yep, not only that, but making the perfect scented soap for yourself and being able to do it over and over again. With that said, it’s time to roll up your sleeves and throw it back to middle school science class…we’re making some suds! Optional: Essential Oil of Choice for Extra Scent! Now that you’ve gathered your precious goods, onward to the creation! In a pot on your stove, bring 2 cups of water to a boil. Add ½ cup of grated soap from your natural soap bar, in this case, the Lemon Glycerine Bar. Add in essential oils, if you chose to use them, but only ~ 30 drops. Place in a pump bottle and pretend to be ultra chic!